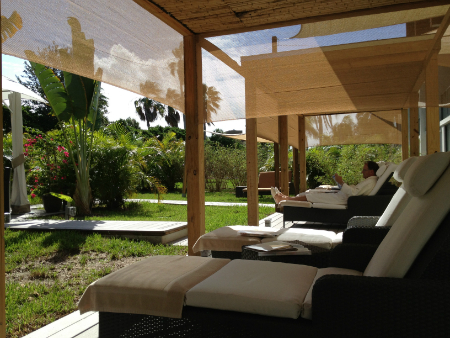 Club Med Sandpiper Bay’s L’Occitane Spa delivers on more than just massages and facials. It delivers on an experience. The all-inclusive resort is a short hop from West Palm Beach, approximately a thirty minute drive. If you’re coming from Miami, it will take you two hours but an afternoon at this one-of-a-kind spa is well worth the trip. This location marks L’Occitane’s first and only spa in the United States. The boutique is a spa-lover’s paradise. Filled with dozens of L’Occitane products for all skin types and both genders. 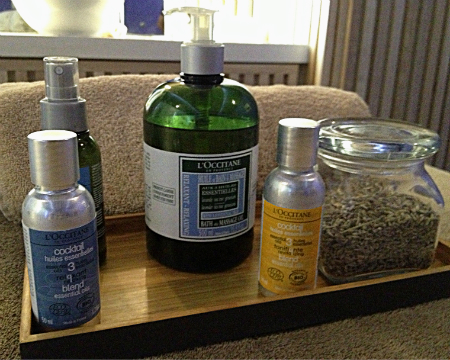 Jewelry, branded clothing, and other accessories fill the shelves that line the walls at L’Occitane Spa. If you can withstand the temptation to shop before your treatment, you’ll probably succumb afterwards while still on your euphoric-spa high. Listen, it’s perfectly okay to splurge and treat yourself considering you’re not going into your pocket for anything else at Club Med. That’s one of the wonderful things about all-inclusives – your basic necessities like room and board are already paid. Anything else is just icing on your vacation cake. The spa’s soothing music, lavender scents, calming colors, and iced green tea all do wonders on the sensors, easily putting you in a shopping mood. The locker room is intimate and quiet, not really where you’d hang out. However, the shower is another story. Besides being an absolutely roomy space, the cleansing products invite you to take all the time in the world to freshen up. Be mindful – there’s only one shower so you’ll have to get to it as soon as you can and if the spa is crowded at that time, you might have to be wait. My massage therapist, Rachel, is knowledgeable and patient. She does an amazing job of regulating deep pressure and light pressure as needed. After a short get-to-know-you conversation, her goal is to get me to relax. It took me a few minutes but eventually I relax and am able to “let go.” It’s impossible not to with expert hands, calming French music, L’Occitane Spa’s Lavender Tea tree geranium pillow mist, diffusers, a basket of lavender beneath the face pillow, and a warm scented sheet to cover me. 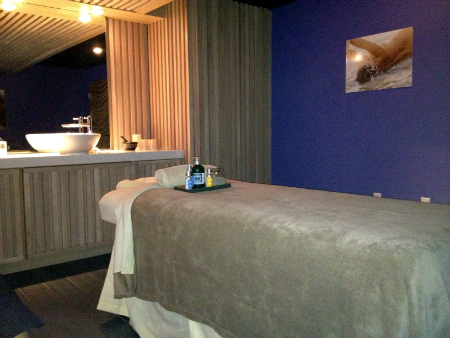 My morning at Club Med’s L’Occitane Spa was memorable and just what I needed. The standout moments were the warm foot bath to begin and the cooling foot wipe to end. And of course, the amazing Rachel. I spent an hour or more in the outdoor relaxation area enjoying the warm Florida sun and the moment. I couldn’t resist taking my sweet ol’ time coming back to reality. wait a minute.. this is sooo yummy, definitely want to take a vacation there..